Is Increased Neurotoxicity a Burden of the Ageing Brain? Our living environment is a melting pot for more than 4.5 million natural and synthetic chemicals, which an individual may come in contact with at any given time: only 10,100 of them have been described in the Merck Index (11th Ed., 1989). 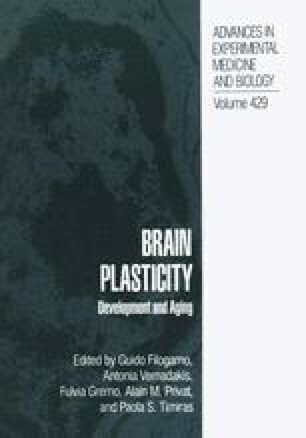 It is now thought that a lifetime’s continuous exposure to trace amounts of endogenously formed and/or environmental toxins (such as industrial chemicals, pesticides, food additives, or abused and therapeutic drugs), may provoke neuronal degenerative events such as those occurring in Parkinson’s and other diseases (Barbeau et al., 1987; Schoenberg et al., 1987a; Tanner, 1989; Koller et al., 1990; Calne, 1991; see Dawson et al., 1995). A process, in other words, similar to the continuous gnawing of small wood-worms which can lead to the destruction of even huge pieces of furniture. Epidemiologic and experimental evidence supports this hypothesis. In industrialized countries, during the last 100 years, there has been an unequivocal lengthening of the life expectancy of individuals, accompanied by a dramatic increase in the rate of neurodegenerative Parkinson’s and Alzheimer’s diseases (Lilienfeld et al., 1990; Rajput, 1992). Meanwhile, the threshold age for the onset of Parkinsonism has fallen (Schoenberg, 1987b; Tanner, 1989). On the other hand, in the developing countries less likely to suffer from environmental pollution, the incidence of Parkinson’s disease is much lower (Schoenberg, 1987b), and Alzheimer’s dementia is actually absent in Nigeria (Osuntokun et al., 1991). It is true that an increase in the average age, and thus the greater number of vulnerable individuals, may play an important role in increasing the incidence of neurodegenerative diseases in developed countries. While the existence of a clear correlation has been demonstrated between neuropathies and exposure to selected environmental toxicants (Barbeau et al., 1987; Rajput et al., 1987; Schoenberg, 1987a: Tanner, 1989; Calne, 1991; Semchuk et al., 1992; Dawson et al., 1995), there is only controversial evidence that genetic factors may help neurotoxicity (Golbe, 1990; Rajput, 1992; Vieregge, 1994).